WBO Middleweight World Champion Billy Joe Saunders has vowed to put David Lemieux ‘out like a candle’ when the bitter rivals square off at the Place Bell in Laval, Quebec this weekend, live on BT Sport HD2 and BoxNation. Hatfield star Saunders will be fighting overseas for the first time in his professional career when he makes the third defence of his crown against the hard-hitting Lemieux in his own backyard, and is unfazed by fighting in hostile territory. “I’m a fighting man, a gypsy warrior, and I’ll travel anywhere on the planet to defend my World Title,” said Saunders. “I’m heading into the lions den this weekend, Lemieux will have the whole arena behind him but that won’t make one ounce of a difference, I’ll thrive off their hate for me. Once that bell goes it’s just me and him stood in that ring, he’s is for one hell of a tough night. 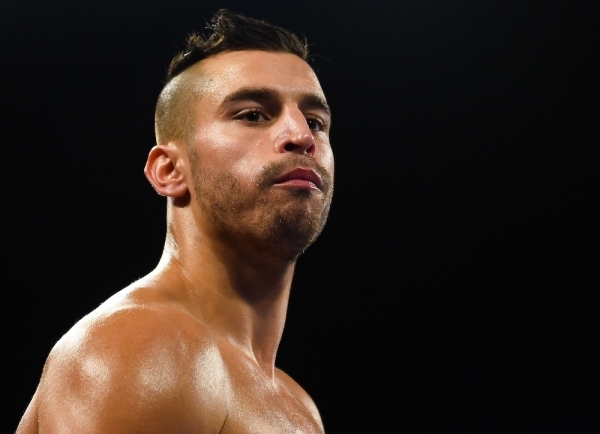 Former Middleweight title holder Lemieux has promised to ‘do everyone a favour’ by ‘getting rid’ of Saunders. The Montreal native boasts 33 big knockouts from 38 career wins and is eager to ‘do damage’ to Saunders, telling journalists at Tuesday’s media workout that the Champion will ‘hit the floor’. Hertfordshire hitter Saunders is in a typically confident mood heading into Saturday’s showdown, even promising Lemieux his entire fight purse if the Canadian manages to knock him out. Watch Saunders vs. Lemieux live on BT Sport 2HD and BoxNation from 2.00am this Sunday.